Earlier this month, we reported that the software giant Microsoft had officially acquired GitHub Inc. for $7.5 billion in an all-stock deal. 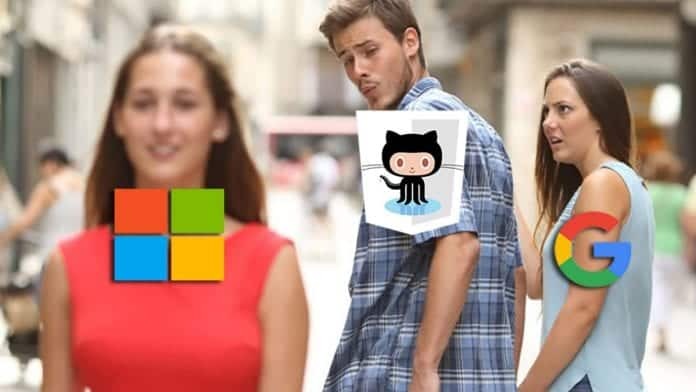 While the news of Microsoft acquiring GitHub did not go well with the global developer community, it appears that Microsoft was the only party that was interested in purchasing the largest source-code repository in the world. According to sources familiar with the GitHub deal, said that representatives from Alphabet’s Google were also in talks with the company about an acquisition in recent weeks but the deal eventually went to Microsoft. It has also been reported that GitHub’s founder Chris Wanstrath chose Microsoft because of his relationship with CEO Satya Nadella and the latter’s apparently favorable attitude towards the open-source ecosystem. “Microsoft is a developer-first company, and by joining forces with GitHub we strengthen our commitment to developer freedom, openness and innovation,” said Nadella said when news of the GitHub acquisition was first announced. By acquiring GitHub, Nadella is hoping to restore growth and attract third-party developers to Windows. “We recognize the community responsibility we take on with this agreement and will do our best work to empower every developer to build, innovate and solve the world’s most pressing challenges,” Nadella added. While Alphabet’s Google has yet to confirm the bid reports, Greene too did not divulge more information on the bid by Google. Greene, however, added that two Google products are among the most popular ones on GitHub. “I really hope Microsoft can keep them totally neutral,” she said. She echoed the feelings of the developer community, who have raised concerns over Microsoft’s purchase of the platform, as they fear that the tech giant may use its ownership of GitHub to see what projects are popular, and then launch rivals of its own.